The SWATCH FREERIDE WORLD TOUR BY THE NORTH FACE® (FWT) is entering a new exciting phase in 2015, with a comprehensive calendar including two great new venues officially announced. The tour will consist of five venues in total for the men and four venues for the women. The Pyrenean resort of Vallnord Arcalis, in Andorra, will host both men and women skiers and snowboarders, and the notorious mountains of Alaska, USA, will see a smaller group of men skiers and snowboarders just before the finals and the 20th anniversary of the “Xtreme Verbier” in Switzerland! “We are very proud to announce the two new venues added to three already existing and exceptional FWT events. The local organizer at the Pyrenean resort Vallnord Arcalis of Andorra has organized a very successful freeride event since 1998, the El Dorado Freeride, one of the most popular 4-star Freeride World Qualifier events. The terrain is spectacular and there are some great faces for an all-star FWT competition. Regarding Alaska, it’s the epicentre of big mountain riding and every freerider’s dream to go there. The first extreme skiing competitions were organized in Alaska back in the early nineties and that is where the whole freeriding competition scene started! Since we launched the Freeride World Tour in 2008, we have desired to organize a competition there. 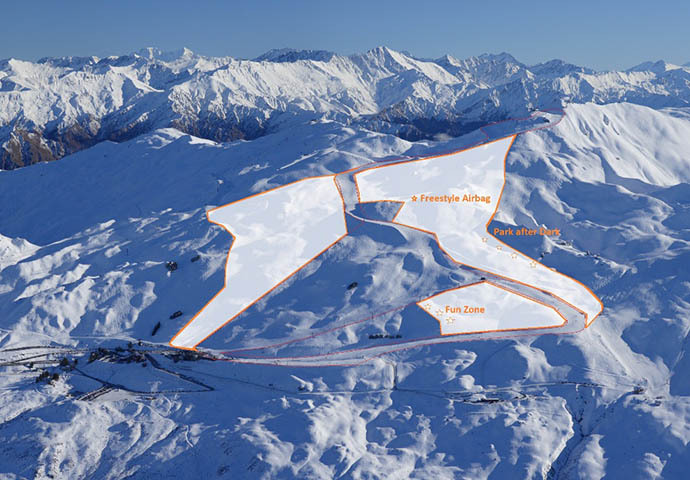 We are so excited to finally make it happen,” said Nicolas Hale-Woods, Freeride World Tour General Manager and Founder. The Freeride World Tour season 2015 will start off at the mecca of freeriding, Chamonix-Mont-Blanc in France, January 24, 2015, then head to Austria and Fieberbrunn Kitzbüheler Alpen, January 31. One week later, the athletes will take on Vallnord Arcalis in Andorra for the first time, February 14. After the event at Vallnord Arcalis, there will be a cut for Alaska, USA, with 60 per cent of the men skiers and snowboarders qualifying. In Alaska, there will be a longer weather window to ensure the best possible conditions, March 14-22. The exact location in Alaska is yet to be confirmed. Again 60 per cent of the riders after Alaska will qualify to the grande finale and the 20th anniversary of the Xtreme Verbier, March 28! The women qualify directly to Verbier after Vallnord Arcalis. The 2014 season saw some interesting changes in the leader board with the greatest example of rookie Loïc Collomb-Patton of France crowned Freeride World Champion in Men’s Ski his first time on the tour. 16 male skiers, 8 male snowboarders, 7 female skiers and 4 female snowboarders are qualified to 2015. Invited wild cards to the full season and to single events will be announced at a later stage.